Need paper writing help? We offer 24/7 assistance with any of the homework assignments: essay, term paper, research paper and much more! 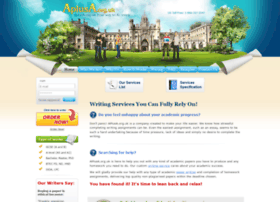 Professional writing service – quality guaranteed!